Grande Champagne: Beautifully balanced between fruits, such as orange zest, flowers and spicy wood notes. Petite Champagne: Wood, prune, cherry, muscat grape, subtle notes of nuts, coffee and cedar woods. Borderies: Borderies is the smallest of the six areas. Violets. The finish is elegant and very long. Fins Bois: Nutmeg and dry fruits, on the nose. Complexity. 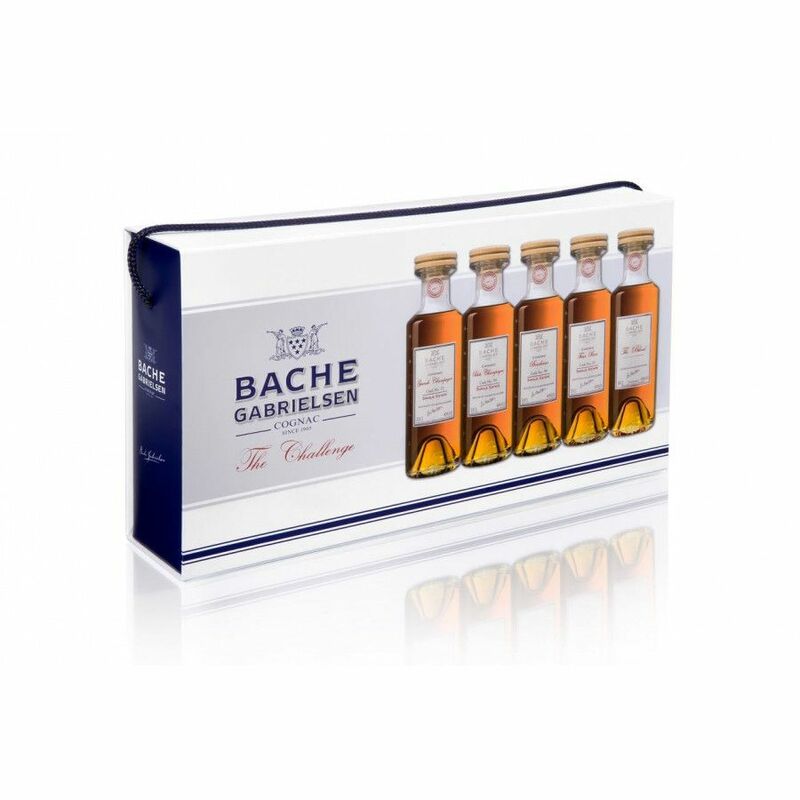 Bache-Gabrielsen's Master Blender Jean-Philippe Bergier has created a blend of eaux-de-vie from Grande Champagne, Petite Champagne, Borderies and Fins Bois. The challenge: Blend your own cognac and try to repeat what the master blender did. Individually outstanding destillates at 20cl. 5 x 20cl bottles in total. Grande Champagne is the most prestigious area in the Cognac region. These wines produce fine and complex cognacs, with a predominantly floral bouquet, as you can feel in this eau-de-vie selected by our Master Blender. There is a rich and generous scent beautifully balanced between fruits, such as orange zest, flowers and spicy notes from the wood. This eau-de-vie enhances the elegance of cognacs from the Petite Champagne area. On the palate, the taste is a perfect mix of fruit and wood, with aromas of prune, cherry, Muscat grape and subtle notes of nuts, coffee and cedar woods. Borderies is the smallest of the six areas. These wines produce round and well balanced cognacs. This selected eau-de-vie is particularly fresh and reveals the delicacy and the flavour of violets characteristics of cognacs from this district. The finish is elegant and very long. 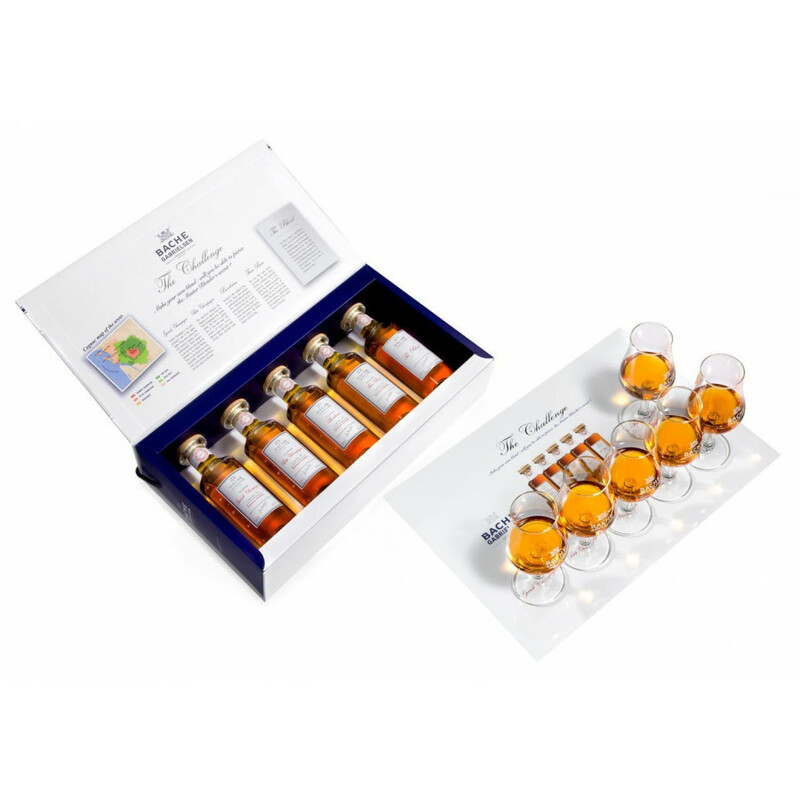 The Fins Bois area which surrounds the first three districts, produces round and generous cognacs. 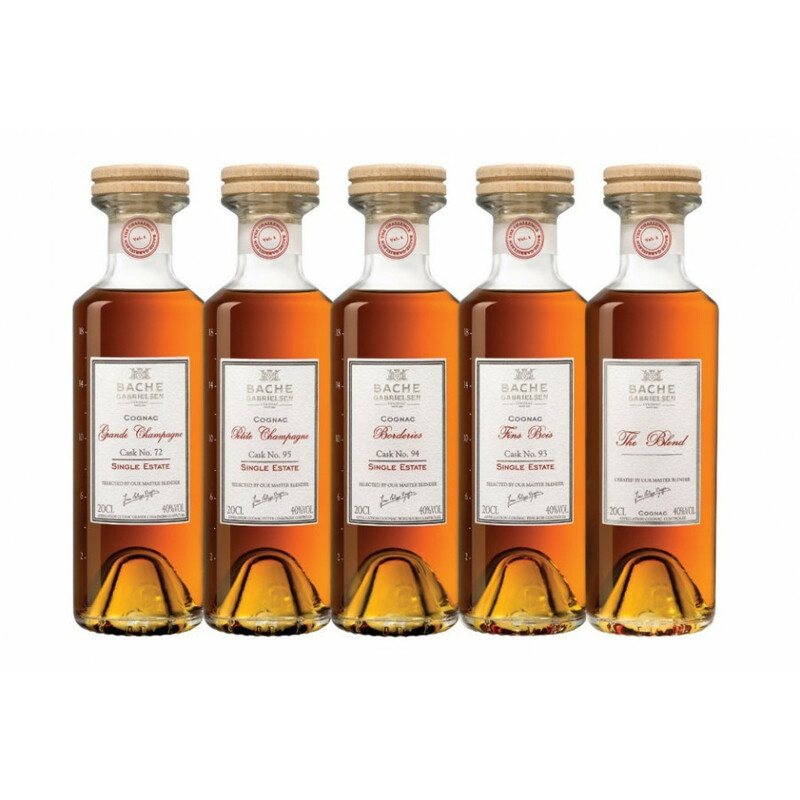 In this bottle, the eau-de-vie provides flattering warm notes of nutmeg and dry fruits, on the nose. The palate is powerful with discreet tannins, emphasizing the complexity of the original flavour of the wine. Our Master Blender, Jean-Philippe Bergier, has created this blend from the selection of eaux-de-vie from Grande Champagne, Petite Champagne, Borderies and Fins Bois. The result illustrates how these individually outstanding destillates together form a new dimension, where they are all equally important to the final result.